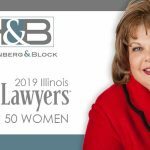 CHICAGO, IL – January 19, 2019 – Hoffenberg & Block, LLC, one of Chicago’s Top-Rated family law firms, is proud to announce that Founding Partner, Gloria E. Block, has been recognized as one of the Top 50 Women Lawyers in Illinois for 2019 by Super Lawyers. 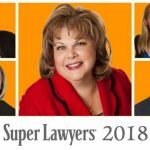 While Ms. Block’s expertise includes all areas of family law, she has a unique passion for matters concerning children. As a result, she has dedicated a substantial part of her professional practice to cases relating to custody and visitation. Block received her law degree from Loyola University in June 1980 and holds a B.A. Degree from Northwestern University. She is a member of the Illinois State Bar Association, Chicago Bar Association and Decalogue of Society of Lawyers. 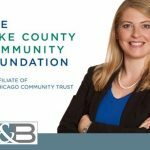 Ms. Block is admitted to practice to the Illinois State Bar, United States District Court, Northern District of Illinois, United States Court of Appeals for the Seventh Circuit, and the United States Supreme Court. Over the years, Hoffenberg & Block, LLC has become renowned in the Chicago Metro area for its dedication to practicing at the cutting-edge of family law and providing clients with exceptional personal service. 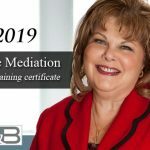 Hoffenberg & Block is a leader in all areas of family law, including divorce, allocation of parenting time (formerly known as child custody), child relocation and removal, mediation, collaborative divorce and child support as well as LGBT, prenuptial agreements and judgement modification/enforcement. 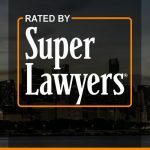 For more information about Hoffenberg and Block LLC and the services they provide, visit them online at ChicagoFamilyLawyer.com. Prospective clients can also call: 312-853-8000 to schedule a no obligation case evaluation.